She’s had to wait so long but this scrappy stray who lived wild in a Beijing park has found a kind family to love and care for her. For beautiful Baochun – whose name means “spring” – a lifetime of waiting and hoping is finally over. As a stray fending for herself in a Beijing park, Baochun grew up the hard way. She survived by foraging for food scraps and from the kindness of strangers or park staff who would occasionally feed her. That lonely day-to-day existence ended when Animals Asia’s partner organisation Beijing Lucky Cat were alerted to the park’s stray problem. 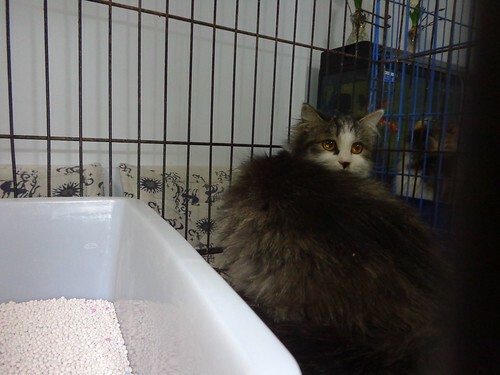 Chinese volunteers were shocked to find the cats barely surviving in poor conditions. Many were pregnant, with the youngest pregnant female found to be just five months old. Most of the cats were wary of humans and rough with each other from a lifetime of competing for scarce food. Many had survived thanks to the compassion of the park staff who fed them and had forged trust over long years. For Beijing Lucky Cat, this was vital. The trust built by compassionate park staff enabled volunteers to round up the cats to be neutered and control the exploding population. Trap, Neuter, Return (TNR) programmes are widely acknowledged as the most humane, effective and financially sustainable strategy for controlling stray cat populations and maintaining their health. While in the past inhumane culls have been used to control stray populations, these are now rare. Animals Asia has worked towards this end by funding local groups to carry out TNR programmes. It was Animals Asia funding which enabled Beijing Lucky Cat to spay 162 felines in 2016. Nearly 30 of these lucky cats were adopted into loving homes while the remainder were returned. Baochun was one of the lucky ones. As soon as she arrived, staff realised she was special. Like all strays she was jumpy and defensive but also curious. 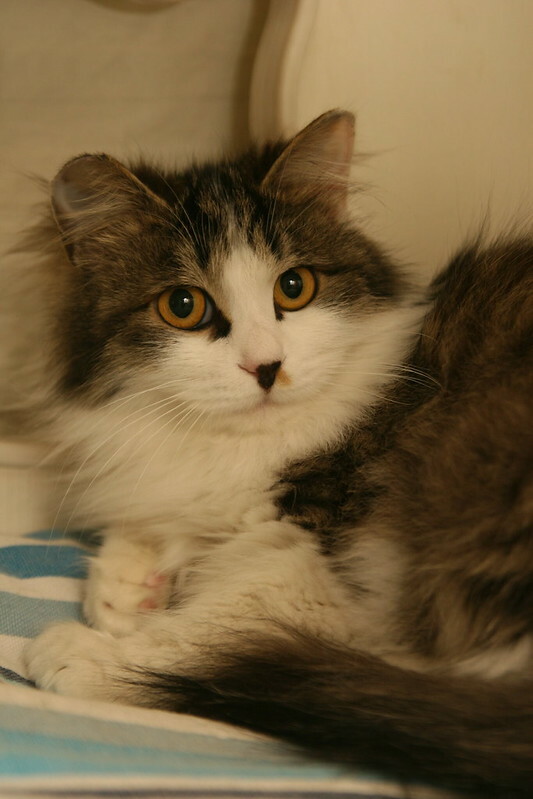 It seemed certain that beautiful Baochun would soon find her forever home, but while other cats were adopted by loving Chinese families, Baochun was left waiting. Months went by and still Baochun was alone. After a life spent surviving and always looking over her shoulder, she seemed nervous to visitors who never got to see her curious and affectionate side. They simply didn’t know how much Baochun wanted to be loved. But as the months passed, Baochun opened up. 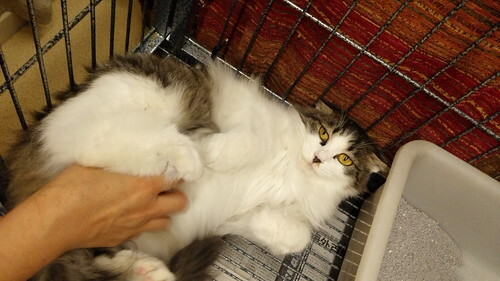 She learned to trust her carers, would roll over to show her belly, and purr with satisfaction when she received the affection she craved. For the staff who refused to give up on Baochun’s future, their reward came after two months when a warm, open family fell in love with Baochun and took her with them to her new forever home. Animals Asia works 365 days a year to improve the livelihood of cats and dogs in China. Funding local groups to administer TNR programmes allowed Animals Asia to successfully neuter and release 517 stray cats in four Chinese cities in 2016.